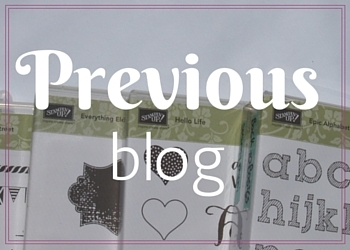 Hello and welcome to the Stampin’ Addicts Retiring Stamp Set Blog Hop! We are excited to be featuring some of the stamp sets that will be retired at the end of May. You may have arrived here from Betty Traciak’s Blog where she featured Corner Garden or perhaps Heidi Bak’s Blog (if you are going backwards), or you may be starting here. In any case, all of the blogs link together in a circle so you won’t miss a stop! I am excited to be featuring the Epic Alphabet stamp set. I love the fun font and great shapes in this stamp set! They can be used to make personalized cards or not, as shown in the fun love cards below. My second project is one that I made for Craft Project Central last June. (It is still available if you want to subscribe, but only until the end of the month.) I used one of the empty stamp cases to create a stationery kit for my daughter to take to camp. 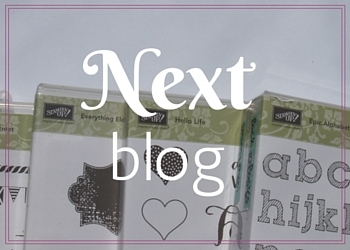 Thanks for joining us on our Retiring Stamp Sets blog hop. Your next stop is over at Heidi Bak’s Blog, where she will be featuring Everything Eleanor. Super cute!! Going to miss this set– so incredibly versatile. Fun projects, Yapha! Eve is pretty lucky to have such a thoughtful Mom. Were all the envelopes pre-addressed to Mom? SO cute, Yapha! What fun the camp card kit is! Super cards too! Love the Camp Card Kit! The cards are So adorable too! Fun projects! The camp set is a great idea! These are such fun cards! Great for kids.